Dear Gabacho: If you’re going to malign poor, defenseless multinationals, at least do it right. El Pollo Loco—a charbroiled chicken chain, for those of ustedes who don’t yet live in ever-metastasizing Aztlán—was originally created by Mexicans for Mexicans, and their pollo plates aren’t that guacátela. And Taco Bell, for all its sins, is at least a gateway for gabachos to learn about semi-Mexican flavors without forcing them to hang with wabs (that happens when their daughters bring home some cute day laborer). 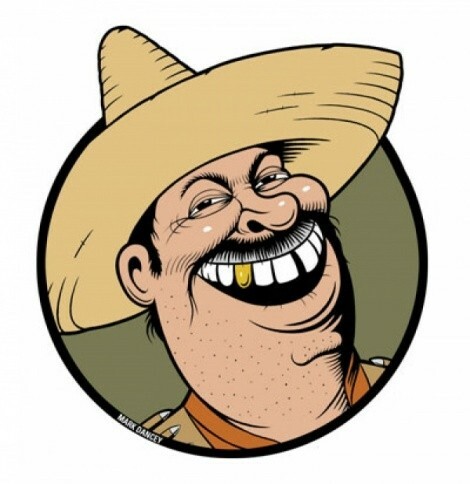 No hard figures exist on how many Mexicans work at either chain, but if trying to better la raza’s image was the main reason Mexicans find jobs, we’d all be applying at Univisión. Dear Gabacho: ‘Mano, I haven’t heard such a great repudiation of gabacho hypocrisy when it comes to Mexis since discovering Taco Bell’s profits dropped when it used a Chihuahua as its mascot! Dear Gabacho: Let’s deport the iron-clad idea that Taco Bell isn’t “Mexican” food, or somehow a sui generis phenomenon. It’s a regional variant of Mexican cuisine, just like green chile-anything is the domain of New Mexico and southern Colorado, the puffy taco a staple of San Antonio, and why the fish taco first dominated in Southern California by way of Baja. That Taco Bell and its progeny have proven popular is a good thing, though, because what gabachos don’t realize is that just before the Spanish hijos de puta finally conquered Tenochtitlán, the Aztecs cross-bred the pinto bean with a strain of Montezuma’s Revenge that ensures eternal worship of all things Mexican, from cheap labor to cheap food.